Applications, operating systems, drivers are all great but do nothing without a working task sequence. Task sequences are basic XML files which call on a series of scripts to run parameters chosen by the user, when the task was created. There are a few different types of task sequences, some for capturing images, some for deploying software, but most center around deploying an operating system image to computer hardware. That is where our focus will be. 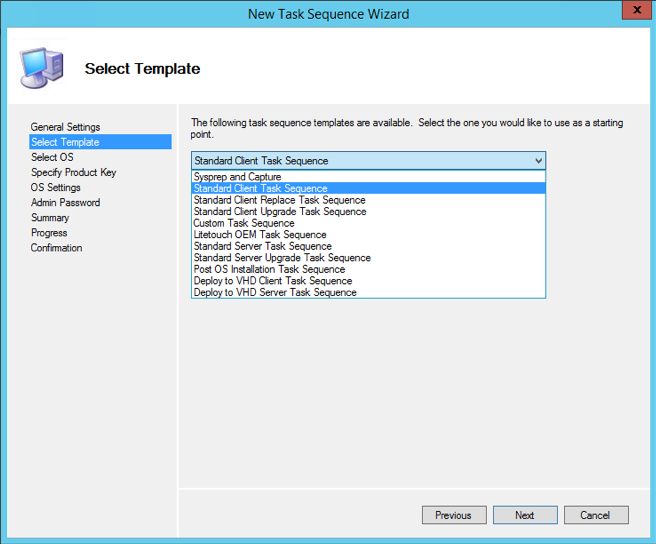 The simplest way to get started with a new task sequence is to right-click the Task Sequences folder, and choose “New Task Sequence.” Like other areas of MDT, some thought should be placed into how this is laid out. Just like we did with the Operating Systems folder, I like to arrange the Task Sequences folder according to OS, and image type. I actually create the same folders in the Task Sequences area so that they mirror the Operating systems folder. 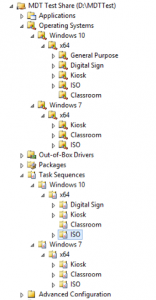 MDT’s operating system and task sequence folders are the same. Generally, one operating system image goes along with a single task sequence. I haven’t run across the need to use the same image with multiple different task sequences. Creating folders is just as easy as starting to create a task sequence, right-click the node above and choose “New Folder.” Also, if one was to create an offline MDT deployment share, separated tasks and operating systems can make your selection profile much slimmer. 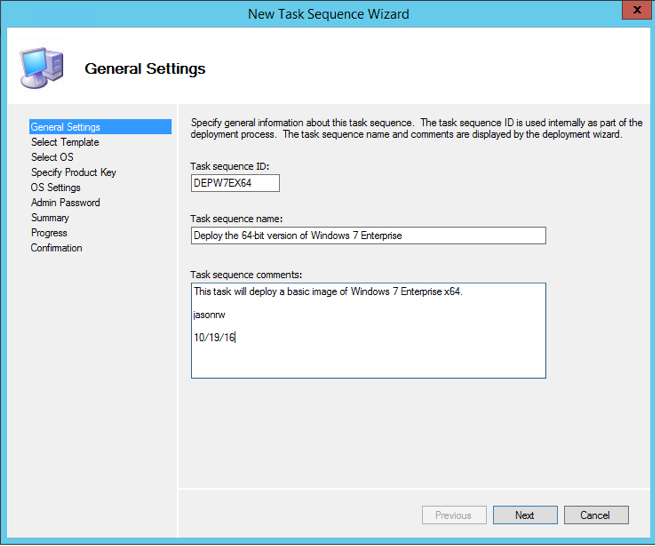 The process of creating a new task sequence is wizard driven like many things in MDT. Each task needs a unique ID for starters, and a name which can or can not be unique. 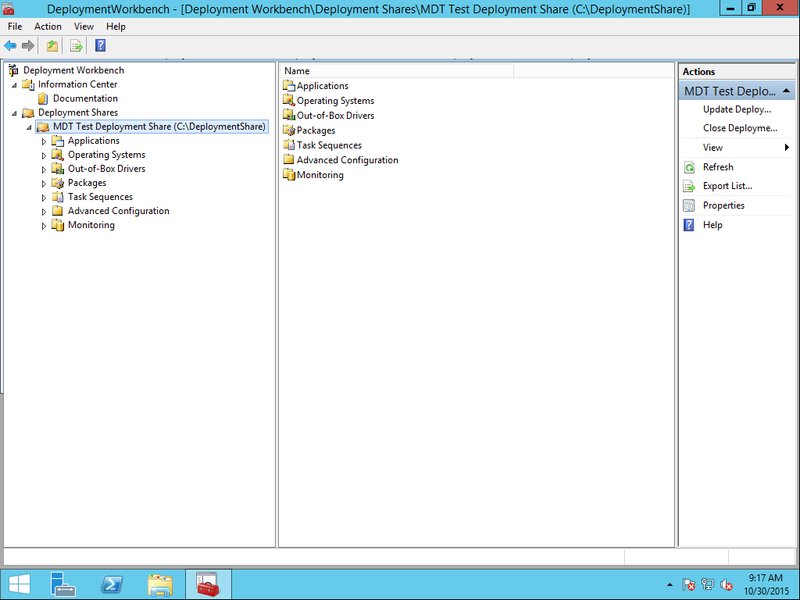 The ID becomes the name of the folder for the task sequence in the deployment share’s file system hierarchy. 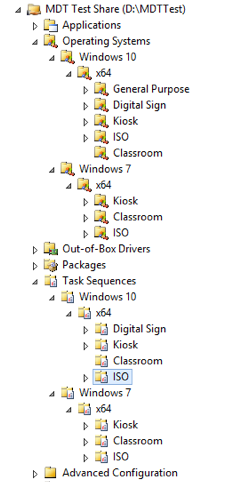 I like to use a truncated version of what the task sequence does for the ID. Example: DEPW7EX64 for deploying an image of Windows 7 Enterprise x64, or CAPW7EX64 for capturing an image. Whatever works is fine just as long as each ID is unique. The name and description should be concise and meaningful as it is shown to the one doing the imaging on the image selection screen, from Windows PE. 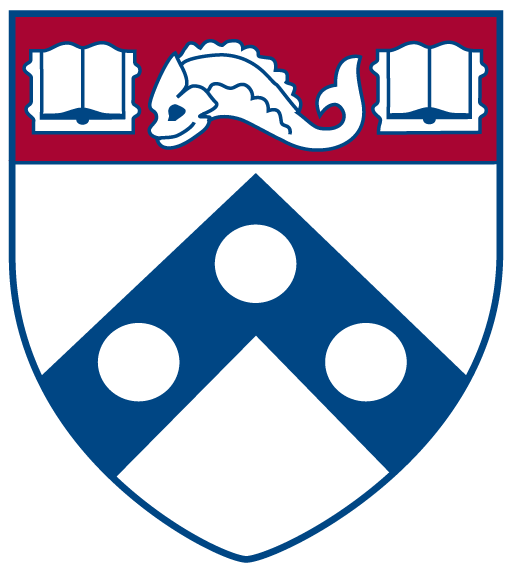 Select a unique ID and meaningful a name and description. Next, we need an image to deploy. Here’s another example where a little organization can pay off down the road. In this case, making the images easier to find. We’re going to choose the basic install image of Windows 7 from the ISO. Choose the desired OS image. Windows needs a product key to be legit. The next screen presents three options for a product key: none, a MAK key, and a retail product key. 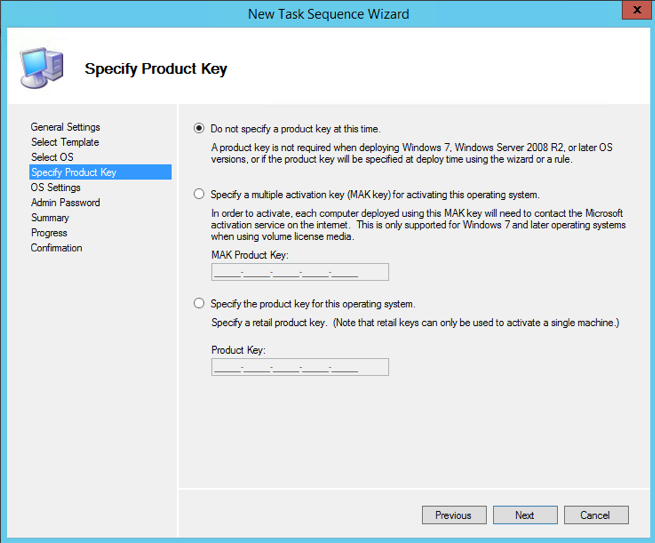 I choose to use KMS activation for my deployments, and rely upon a scripts to point Windows to the KMS server, enter the key, and activate. The script was added to MDT as an application and is run that way. However, if MAK activation is the way to go, here’s the chance. I typically do not enter a product key at this stage. Next, we have to enter some OS information. I use the persons or organization to whom the software is licensed. Keep in mind that the home page URL is for Internet Explorer only. Here, I enter the registered owners and/or organization of the software license. The next step asks for the password of the local administrator account, the built-in administrator. I enter a basic password here that will be changed later on. Keep in mind the password IS obfuscated in the resulting unattend.xml file, so it is safe there. I actually have a task disable the built-in administrator account from BigFix, after imaging has completed. Enter a password for the built-in administrator account. The following steps are a summary screen and a finish. Those can be passed through with Next and Finish. Now, we have a basic task that will deploy Windows 7 without much customization. To get a bit more out of it, especially where driver insertion is performed, we’ll need to edit the task sequence and add a couple of steps. Just right-click the task sequence and choose “Properties.” The General page lists all of the settings entered before, lest they be changed now. I usually don’t mess with those all too much. I do, however, get into the Task Sequence tab. 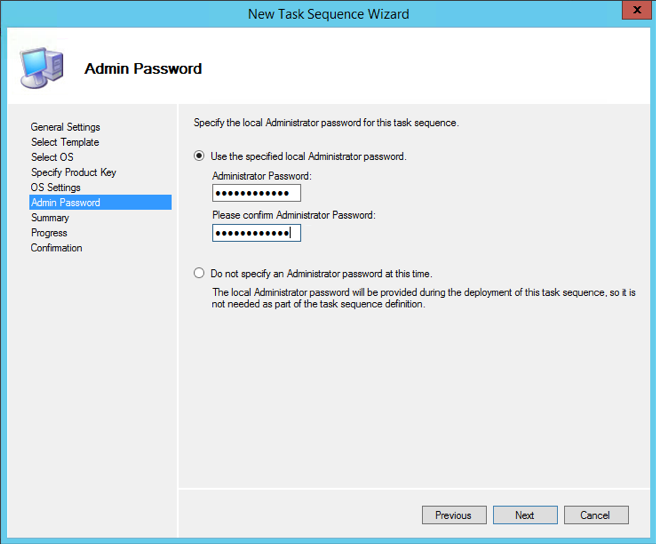 Here are the steps MDT processes, sequentially, when executing a task sequence. I like to have firm control over which drivers are used on the imaged PC, so I tell the task sequence exactly where to look, and leave little for MDT to figure out. The first step to this is to add a Task Sequence Variable which will identify which drivers to use. Choose “Add” from the top menu, and track down to “Task Sequence Variable.” Place it in the “Preinstall” section, right above the inject drivers step. Variable above the Inject Drivers step. Set the variable name to “DriverGroup001”, and the value to “Windows 7 x64\%Make%\%Model%” (without quotes). This convention follows a previous post I have about driver management. If you followed the steps there, these will compliment them. In a very basic sense, we’re done. 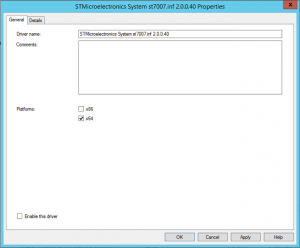 MDT will install Windows 7 and only use drivers detected by WMI for the installed hardware. This is a quick way to get up and running with a basic Windows install. However, additional steps can be added to sweeten the task sequence. 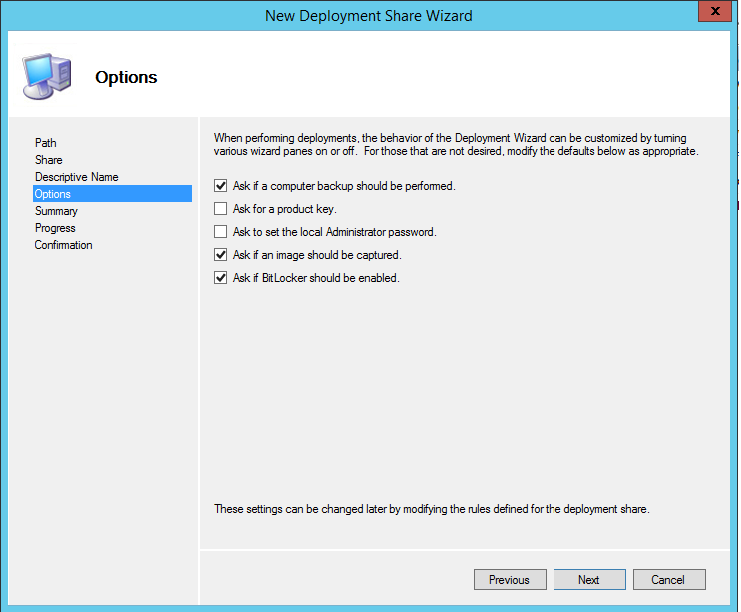 In the “State Restore” section, one step we really don’t have to touch is “Install Applications.” In its default state, the MDT wizard will prompt the end user to install any or all applications listed on the deployment server. This is good for versatility, but can get a bit repetitive if done many times. 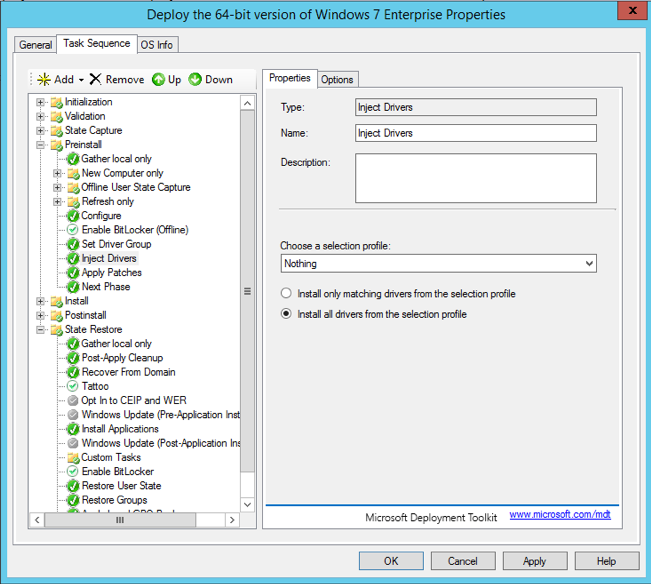 To get around the prompt and have MDT install the necessary applications, I create an app bundle, add my desired apps to the bundle and have the Install Applications step just run that. For example, my bundle is called “Windows 10 Classroom Software.” It contains Symantec Endpoint Protection (SEP), the BigFix client (IEM), and the Sassafras K2 client. The main reason why I do not build these into the image is that their values need to be unique on every installed instance. I could install them on a template computer, and remove their unique components, but it is just as easy to install them during deployment. 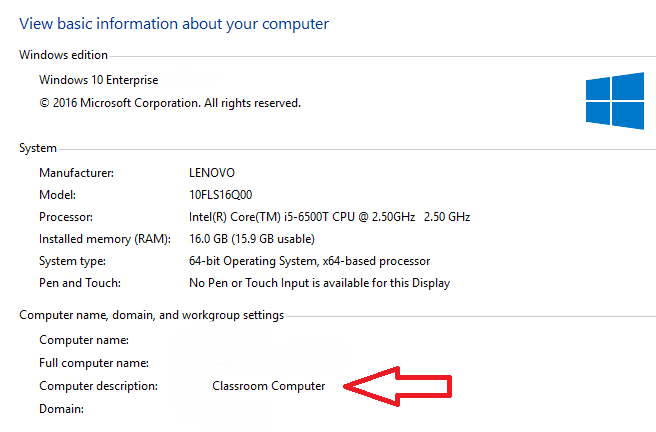 Even though the name says “Windows 10 Classroom Software” it will run on Windows 7. 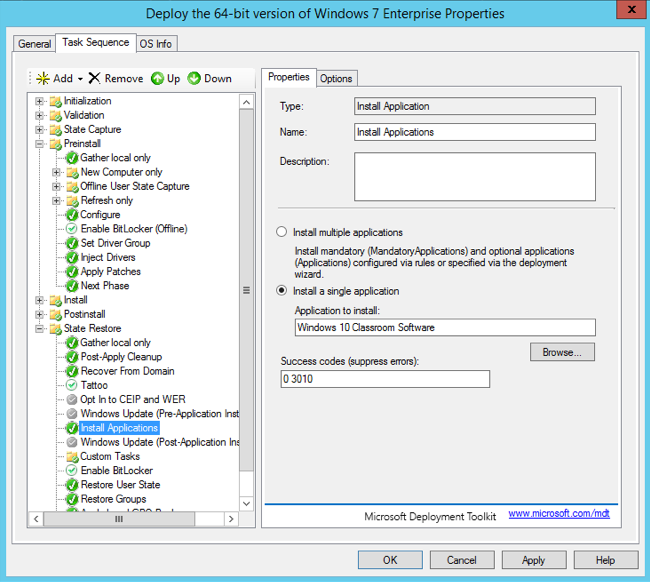 Create an application bundle and have MDT install that. Now, our virgin Windows 7 install will have antivirus software, and endpoint management software, which is pretty much everything we need for our working environment. I could use MDT to install Microsoft Office and anything else, but BigFix will do so too. 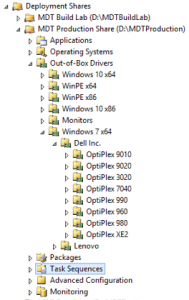 Drivers are a big part of getting Windows to work properly. Anyone who has ever had to troubleshoot a piece of hardware on Windows knows this. When generalizing an installation of Windows for capture with sysprep, all but the most basic drivers are removed. This makes the captured image applicable to many different types of hardware. 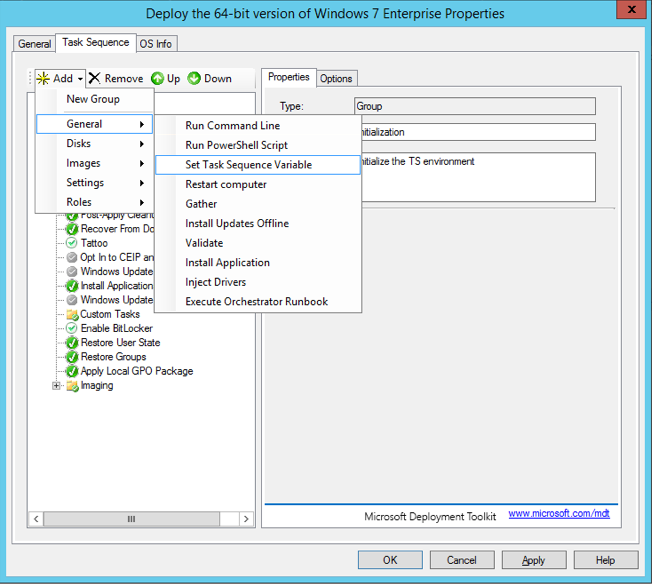 During a task sequence, MDT runs a plug and play check, for hardware at a couple of different points to determine what drivers, if any, are needed. When a matching driver is found, it is injected into the image before it is applied to the computer’s hard drive. 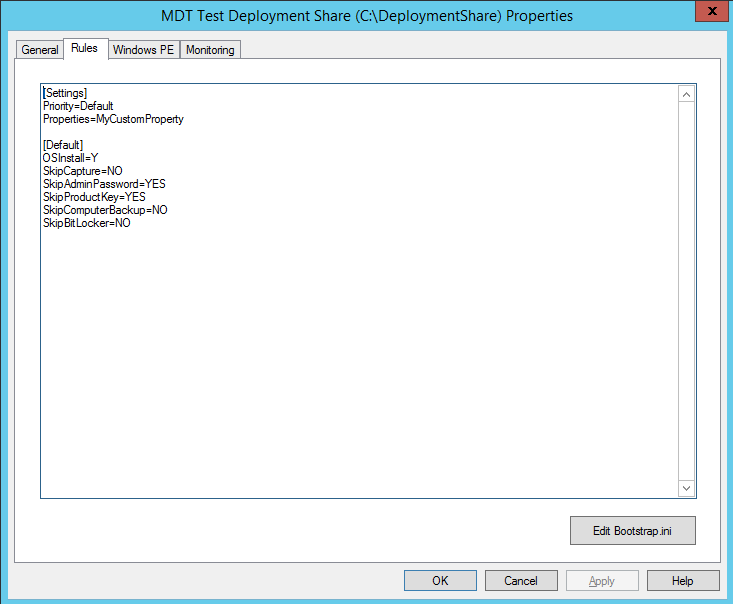 To do this, MDT has a folder/section in the deployment share that is dedicated to organizing and storing drivers. It is called “Out-of-Box-Drivers” (OOBD). The basic INF files are what MDT needs for driver injection. Many drivers are distributed as packages, which come in the form of an executable. This is not what we need. 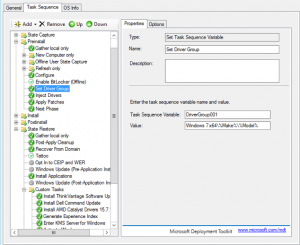 If an executable is the only way a driver is available, it must be imported as an application into MDT, and installed via task sequence. Fortunately, OEMs like Dell, Lenovo, HP, and even Microsoft make bulk downloads of model-specific drivers available from their sites. Dell hardware drivers come in the form of a CAB file, which can be opened with the expand command, or with a compression/decompression utility like 7-zip. I do not delineate between x86 and x64 versions of drivers in my folder path because nearly all of my OS deployments are 64-bit. Dell combines x86 and x64 drivers in the same download. Many Dell drivers can be used on both platforms. 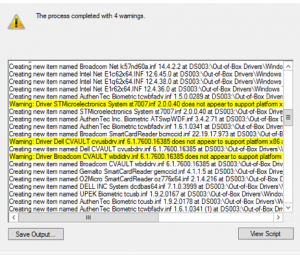 Lenovo drivers will try to extract to their own, specified path, but that can be changed at runtime. Complete, downloaded driver packs can be between 300MB and 1,000MB in size, except for WinPE driver packs which are very small. Using the expand command, I’ll extract the drivers to my folder structure. The command prompt window will scroll really quickly and end with the prompt returning. Now, we can import them into MDT. MDT is able to handle drivers in different manners. The basic default option is to throw all drivers into the same folder at the root OOBD directory. With that, a deployment task will search the entire OOBD store for the right drivers. This increases the chance of the wrong driver being selected. WMI is great, but it is not perfect. Another option is to break down the OOBD store by manufacturer/vendor or by operating system version. Creating folders for Windows 7 and Windows 10, respectively can help minimize the chance of a wrong driver being installed. I take it one step further, actually a couple of steps further. 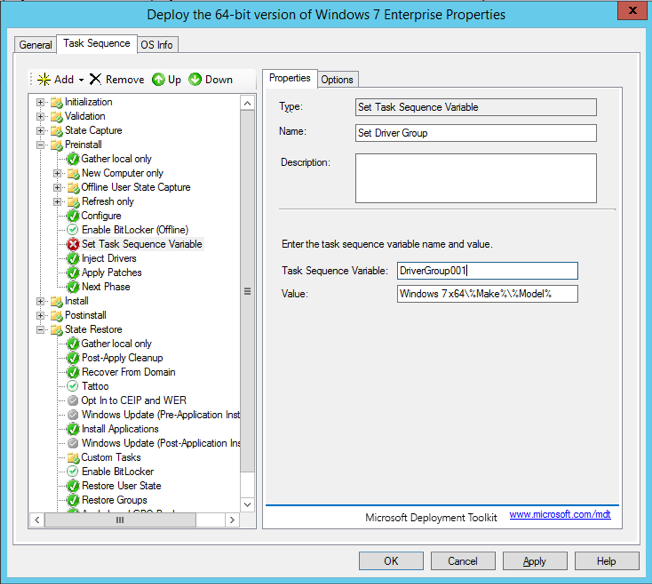 I still use MDT’s WMI hardware-querying capabilities, but I tell it exactly where to look. 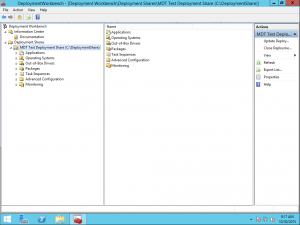 The bottom two folder tiers each correspond to variable in a WMI query, Make and Model. To find the make or manufacturer of an OEM PC, run the following command from a command prompt. To get the model, run the same command as above, but replace “manufacturer” with “model” Top that off with a folder for OS version and platform, and you have something to use. 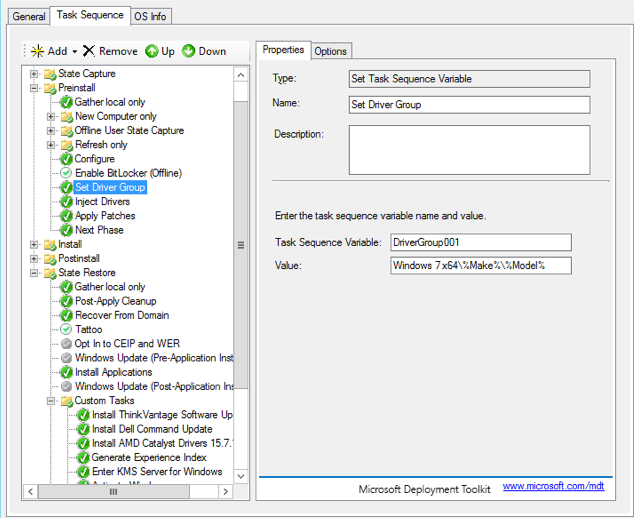 In the task sequence, a task variable can be inserted into the PreInstall phase, before the inject drivers step to tell the task sequence exactly where to look. The variable is “DriverGroup001”, and the value is “Windows 7 x64\%Make%\%Model%” This will allow a task sequence to correctly use a WMI query to find the drivers for the exact make and model being imaged. The Inject Drivers step has its own settings that needs to be configured. For our purpose, the selection profile has to be set to “Nothing” with all drivers from the selection profile being used. Selection profiles are the ultimate step toward driver control. They are a pre-defined selection of drivers that may encompass and individual model, or manufacturer. MDT ships with a few pre-defined selection profiles, but more can be created to suit any need. Given the exact control this approach provides, there is one detraction, it limits task versatility. 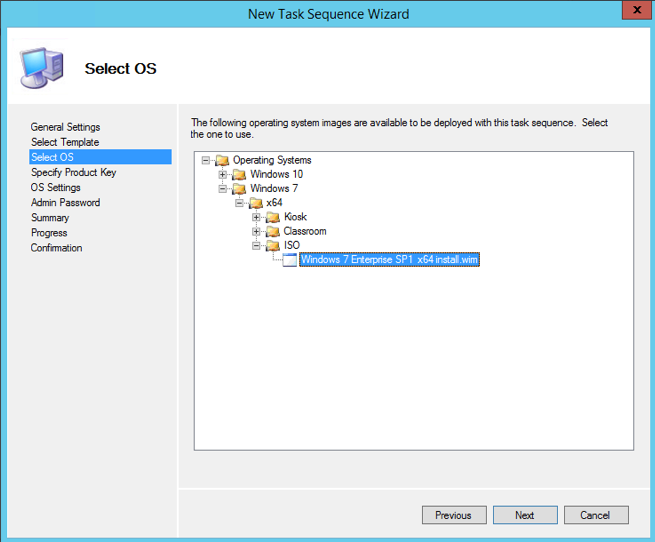 Since a selection profile tells a task sequence exactly which drivers to use, MDT doesn’t query for them. The default setting for Inject Drivers is to query the entire OOBD store, but when “Nothing” is set, they querying is off. If it is desired that a task sequence only serve one or two makes of computers, this might be a good approach. I support about a dozen different models from two manufacturers, and I’d like my task sequences to be applicable to all. I do use a selection profile to organize the drivers I use for my MDT Windows PE ISO/WIM files. Dell and Lenovo make drivers just for Windows PE available as a download too. 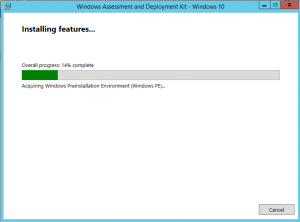 I use the same approach as above to download, extract, and import the Windows PE drivers into MDT. Then, I create a selection profile for the Windows PE drivers and use that for my ISO/WIM file drivers. 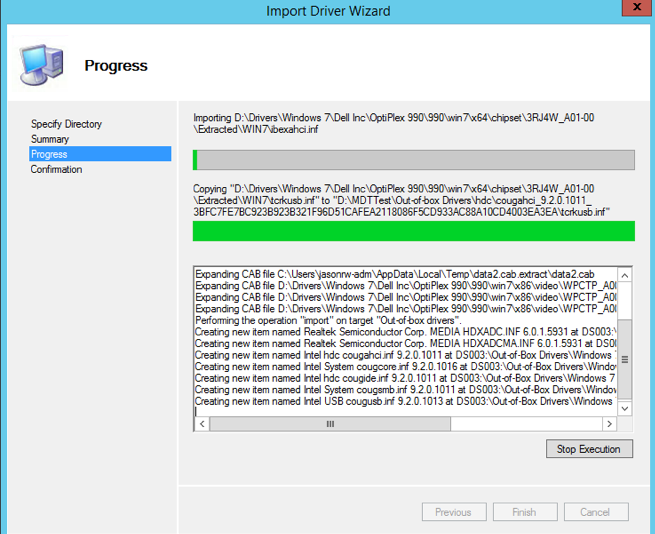 To import drivers into OOBD, make your folders as desired, right-click the folder for the computer model, and choose “Import drivers.” A wizard will open, walking you through the process of importing the drivers from where they were extracted. It is real easy. After the driver import, the deployment share must be updated. By default, MDT uses the all network and system drivers it has in the OOBD store for the Windows PE ISO/WIM file. This can be changed, as I described above, with a custom selection profile, but it is not mandatory. 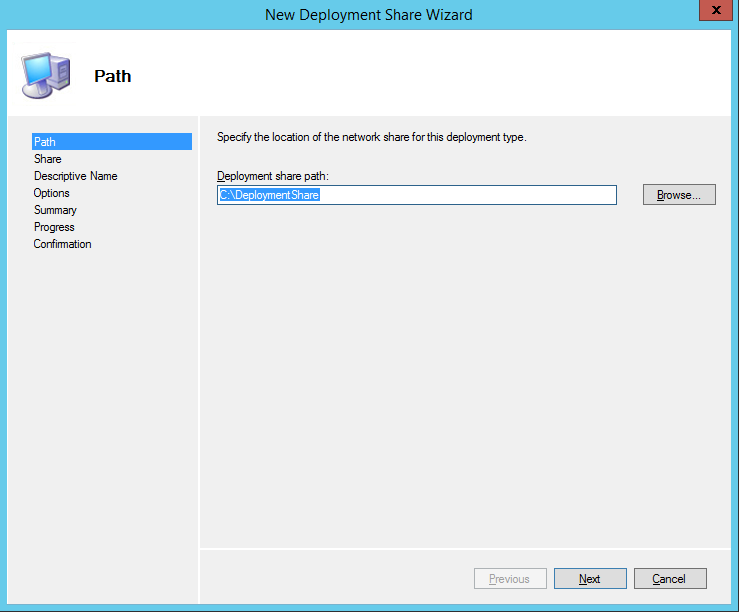 Still, note, that each time drivers are added and removed, the deployment share should be updated for those new drivers to be used. Some drivers are clearly depicted whether or not they are x86 or x64. 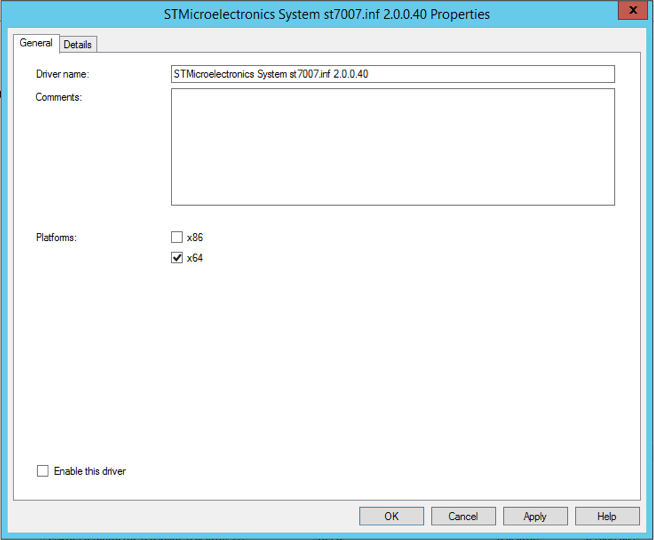 In reality, many single drivers can be used on both platforms, but the descriptor files do not always indicate that to MDT. 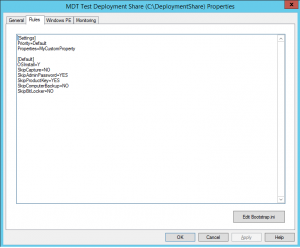 Thus, MDT will import the driver and override the specified platform. This is noted after all of the drivers have been imported for that operation. I, personally, write down the name of each driver with a warning, and disable them after the wizard ends. 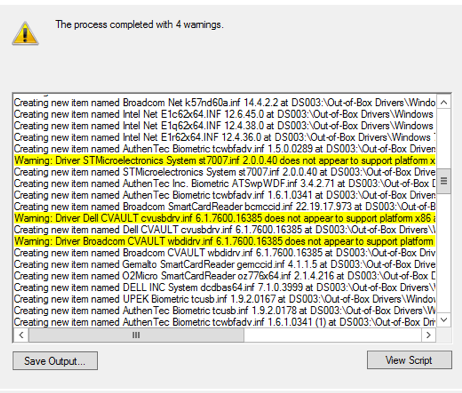 Disabling/deleting a driver is easy, just right-click it in the MDT workbench and choose the appropriate option. Drivers must be disabled from their property sheet. Disabling a driver is a safe approach before it is determined that deletion is necessary. Only ever delete a driver from the MDT workbench. DO NOT go into the driver store via the file system and delete it that way. 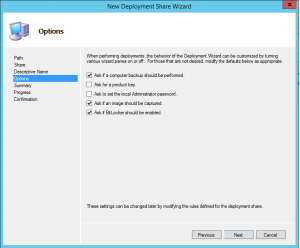 Again, when disabling or deleting a driver, you must update the deployment share to take it out of Windows PE. 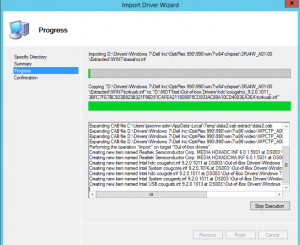 Finding, downloading, extracting, and importing drivers into MDT is a big part of MDT configuration, which takes a great deal of time. If it is done with forethought and planning, it can minimize the driver problems a deployment share might have, and need only be done once. I note the name and date of the driver files that I download and import into MDT. Then, I can periodically check for updates from the vendor’s web-sites. The older a model is with the manufacturer, the less-frequent they tend to update the drivers packs for that model. If the manufacturer does not make a driver pack available for your model, it is possible, though very tedious, to download each driver, and extract them individually. I try to avoid doing that.